Adorable Gift Baskets delivers gift baskets to NV for holidays and all occasions. Send gift baskets, gifts, flowers, gourmet food, fresh fruit and care packages to NV. Gift baskets themes include such occasions as birthday, get well, new baby, thank you, new home, sympathy, corporate and personal events. Gift baskets contain gifts such as gourmet food, fruit, coffee, tea, chocolates, snacks, cookies and much more. When you're too busy to go shopping or simply don't know what type of gift to buy, Adorable Gift Baskets simplifies the gift-giving process. Now you can have lovely gift baskets delivered to your Nevada recipient's door. Our Nevada gift baskets enable you to bring delight to your friends and loved ones for any occasion at an affordable price. With our easy shipping options, it takes only moments to select a creative gift basket and then have your gift delivered to Nevada with your special greeting. If you dread holiday shopping, keep Christmas simple by browsing our snack-packed holiday gift baskets delivered to NV. These festive gifts make it easy to spread holiday cheer, and allow you to buy a unique gift for everyone on your shopping list. Gift baskets sent to Nevada make holiday shopping a cinch because you can avoid the crowded stores while marking off all the names on your gift list. Adorable Gift Baskets features NV gift baskets for all ages, including exciting toy and activity gift baskets for kids, spa & pamper bath care packages for mothers, aunts and sisters, and even masculine gift baskets for men, dads, sons and brothers. Even when the Christmas holidays are long gone, it's still time for gifts when Valentine's Day and Easter roll around. Gift baskets delivered to NV can help you romance the love of your life with gorgeous arrangements including breakfast in bed gift baskets or decadent chocolate baskets for your sweetheart. Our Easter basket selection is gleaming with spring colors and fanciful Easter treats that even the Easter Bunny can't top! And that's not all -- springtime also means shopping for Mother's Day and Father's Day. Not to mention high school graduations and spring weddings. Even when there's not really a special occasion, you might just want to send a quick gift that says "I miss you!" Or when someone has been kind to you, you can show gratitude by sending a Nevada gift basket to say "thanks!" Even sad occasions call for a sympathy gift basket, such as a death in the family or times of sickness. 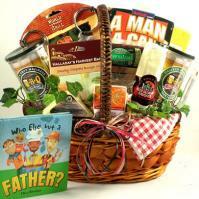 Greet those who are down-hearted with a comforting thinking of you gift basket to let them know you care. Adorable Gift Baskets can accommodate your gift giving needs for all these occasions with our fast, dependable Nevada mail order gift delivery. Nevada was the 36th state to be granted statehood. It happened on Oct. 31, 1864. The state flag of Nevada was instituted in 1921 and revised in 1991. The capital of Nevada is Carson City. NevadaÌs official gemstones: Virgin Valley Black Fire Opal and Nevada Turquoise. NevadaÌs official flower is Sagebrush. NevadaÌs official bird is the Mountain Bluebird. NevadaÌs official trees are the Single-leaf Pinon and the Bristlecone Pine. NevadaÌs official animal is the Desert Big Horn Sheep. NevadaÌs official fish is the Lahontan Cutthroat Trout. NevadaÌs official fossil is the Ichthyosaur. NevadaÌs official metal is silver. NevadaÌs official reptile is the Desert Tortoise. NevadaÌs official rock is sandstone. NevadaÌs official colors are silver and blue. There are 16 counties in the state of Nevada. NevadaÌs official motto is ÏAll for our CountryÓ. NevadaÌs nickname is ÏThe Silver StateÓ.